Hair style that tie hairs so tight can causes much traction at the root can develop traction alopecia. The simplest cure for traction alopecia is to avoid such hairstyles that cause tension in the root of hair. The prognosis of traction alopecia is always good if treated earlier but once traction alopecia has set in, there is no perfect treatment. 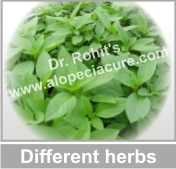 • How Dr Rohit's Ayurveda therapy is useful in traction alopecia ? Is there any side effect of the therapy ? What exactly in the treatment? What is the pharmacological action of these herbs ? 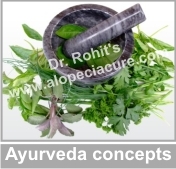 Dr Rohit's herbal Therapy is based on Ayurveda concepts. 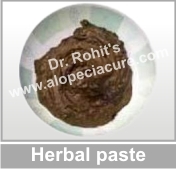 The treatment contains topical herbal oils and herbal paste which are free from any side effects. 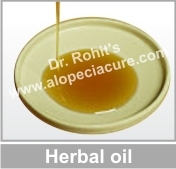 It helps to nourish the hair follicles and thus it also helps to re-grow new hair. However the pharmacological action of how herbal treatment works, is yet not perfectly understood.